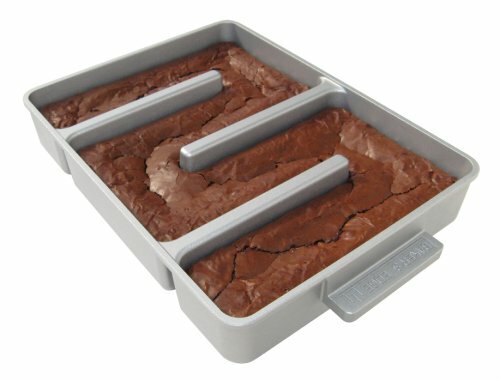 The Baker’s Edge Nonstick Edge Brownie Pan is the only gourmet brownie pan that adds two chewy edges to every serving. The pan’s patented sidewalls also improve baking performance by circulating heat evenly to the pan’s middle, where food typically takes longer to bake. Every serving will be baked to perfection at exactly the same time. Features durable nonstick coating and heavy gauge cast aluminum construction.